Beautifully renovated stone cottages with private pool is at the end of a private tree-lined driveway and is surrounded by beautiful Breton countryside with rolling hills and woods all around. 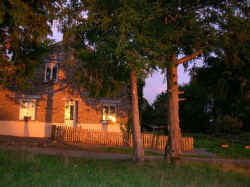 Les Bergeronnettes sits in its own private farm grounds of 21 acres located on the edge of a small village. The cottages have been carefully restored to provide every modern comfort, while retaining all the charm of original stonework, wood beamed ceilings and stone floors. Each Gite is equipped with Freeview (UK) Satelite TV and is internet Wi-Fi enabled. 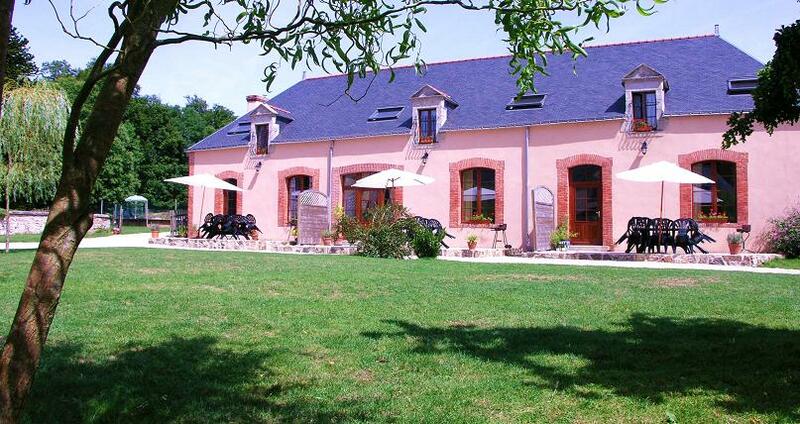 Take a relaxing holiday in this delightful part of France. Enjoy the excellent food at local restaurants, the thrill and excitement of Camors Adventure Forest, a boat down the River Blavet, or visit the many interesting attractions and picturesque villages. An enchanting property bordered by the ancient forest of Camors. Stroll down the private drive and you reach the tranquil hamlet of Lambel. The busy market town of Baud is just 3km away, Pluvigner is 7km. A good selection of restaurants, shops and supermarkets can be found in both. The lovely medieval towns of Vannes and Auray and the famous Gulf of Morbihan are all within 20 minutes drive. The choice of beaches within the area is enormous, from the chic fashionable Carnac Plage, to the wild surfing beaches at Quiberon. The area is full of Megaliths and Dolmen, including the famous standing stones at Carnac. The local markets are full of character and colour. Food lovers are spoilt for choice, and you can taste wines from all over France at the local wine cellars. 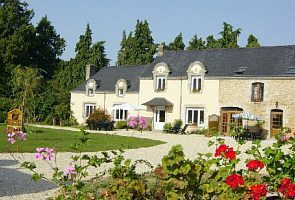 Les Bergeronnettes is the perfect location to base yourself for touring the west coast of France on land and sea. We accomodate car and motorcycle, cycling and equestrian clubs as well as boating enthusiasts. For further details of the facilities available click here. For golfers there are in excess of 5 quality courses within 30-50 minutes drive. Canoeing, course fishing and tennis are also close by. Our extensive grounds are a delight for all ages covers around 22 acres including a large children’s safe play area, indoor play barn, games field, open parkland and bounded by trees and fields. The new 12m x 6m pool has Roman steps into the shallow end and an adjacent pool for tiny tots. It has its own large sunbathing terrace and is open and heated from mid May until the end of September. It is securely fenced off for safety. 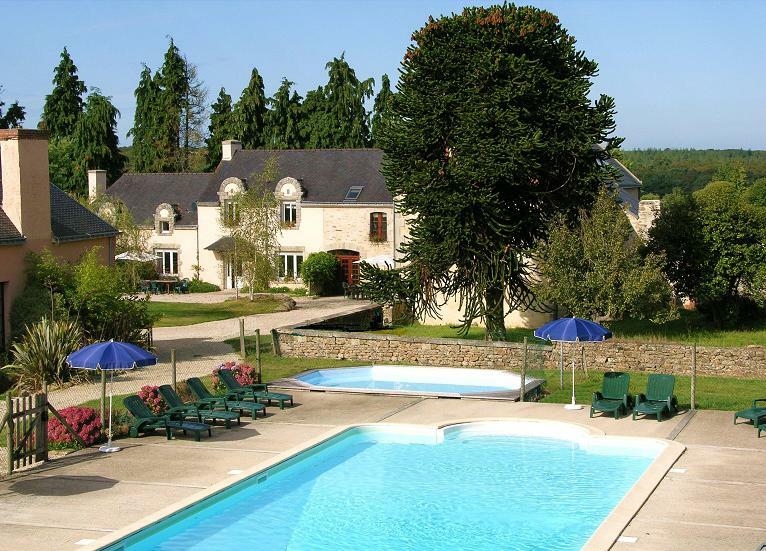 book both together, for a holiday with use of the heated pool and all facilities.